Centric Bank President & CEO Patricia (Patti) A. Husic will welcome over 210 women to the Pennsylvania Bankers Association’s Spring 2016 Women in Banking Conference today at Hershey Lodge & Convention Center, in Hershey, Pennsylvania. There are only 2 female CEOs at our top 100 banks with over $10 billion in assets. For U.S. corporate boards, women have stalled at 19% representation. The Women in Banking conference is the game-changer for these statistics. 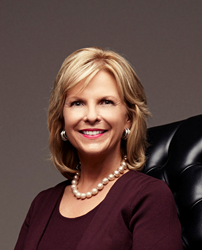 Centric Bank President & CEO Patricia (Patti) A. Husic will welcome over 210 women to the Pennsylvania Bankers Association’s Spring 2016 Women in Banking Conference today, March 7, at Hershey Lodge & Convention Center, in Hershey, Pennsylvania. Founder of the association’s Women in Banking initiative, Husic is the champion for women reaching high potential careers in banking. In its third year, the annual statewide gathering challenges female bankers to greater leadership, provides mentoring opportunities, and offers professional development as they seek to advance their careers in the ranks of their institutions. Among the event’s internationally recognized speakers and panelists, Husic is especially pleased to participate in the CEO panel with Jean Coyle, President and CEO of Penn Community; Charlotte McLaughlin, CEO of PNC Capital Markets; Evelyn Smalls, President and CEO of United Bank of Philadelphia; and Moderator Bonnie McGeer, Executive Editor, American Banker. “In 26 years at the association, I cannot recall a product, service, or initiative that has generated this degree of energy and enthusiasm among members. Throughout 2015, numerous professionals from member institutions participated in advocacy, mentoring, and sponsorship programs inspired by the PA Bankers Statewide WIB Committee which Patti created and continues to spearhead,” says Cindy Wallett, SVP, Member Relations & Professional Development for PA Bankers. “In a recent meeting, Pennsylvania bank leaders (90% male/80% CEOs) were encouraged by the number of employees in their institutions asking to attend the WIB Conference. These women found tremendous value in collaborating with fellow female professionals, face-to-face. It inspired them personally and professionally,” says Wallett. Join the Pennsylvania Bankers Association Women In Banking Conference conversation on Monday, March 7, 2016, and post, share, and tweet using the hashtag #WomeninBanking. A two-time Best Places to Work and Top 50 Fastest-Growing Companies for four years, Centric Bank is headquartered in south central Pennsylvania with assets of $385 million and remains the leader in organic loan growth in central Pennsylvania. A locally owned, locally loaned community bank, Centric Bank provides highly competitive and pro-growth core financial services to businesses, professionals, individuals, and families. With a Five-Star Bauer Financial Rating, Centric Bank is also ranked as a Top 20 Lender for SBA Loans in the Philadelphia Region. Founded in February 2007, Pennsylvania-based Centric Bank has financial centers located in Harrisburg, Derry Township, Mechanicsburg, and Camp Hill, and a commercial loan office in suburban Philadelphia. To learn more about Centric Bank, call 717.657.7727 or visit CentricBank.com. Connect with them on Twitter at @CentricBank and Facebook at Centric Bank.